Hosts couldn’t do enough to help, we arrived late from Racing and they stayed open just to accomodate our late arrival. 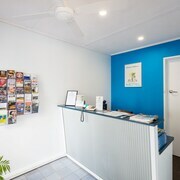 Friendly service, comfy Beds, Clean & Tidy. 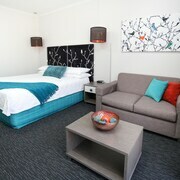 Which hotels are closest to the Mildura airport? 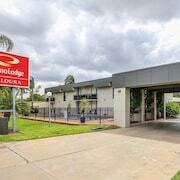 Can you find accommodation in popular areas of Mildura? 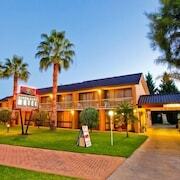 Where to stay near top Mildura attractions? 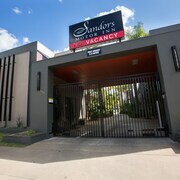 What kind of hotels are in Mildura? 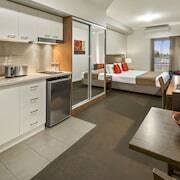 Which hotel chains are in Mildura? Visitors give high marks for the top-notch restaurants in Mildura, which is also known for its riverfront and spas. Tourists can also enjoy the city's parks and wineries. 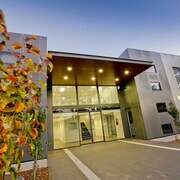 The city's cultural venues include Langtree Hall Museum and Mildura Arts Centre. The city's natural setting is picturesque, including the riverfront and such places to visit as Ornamental Lakes Park and Jaycee Park. 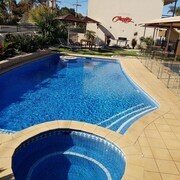 A couple of additional sights to add to your agenda are Mildura Brewery Pub and Mildura Waves. 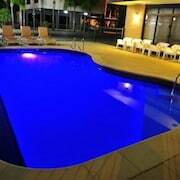 Aarinda Holiday Apartments - This 4-star apartment features an outdoor pool, free WiFi, and free parking. It's a favorite with Expedia travelers for its central location. 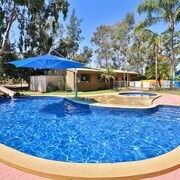 Magnolia Cottage Mildura - Amenities in this 4.5-star cottage include a kitchen, free WiFi, and a washer/dryer. 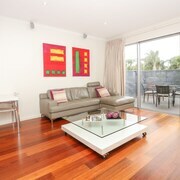 Mildura Holiday Villas - This 4-star apartment features an outdoor pool, free WiFi, and free parking. Expedia customers like its pool and comfortable beds. Seated close to the Murray River, Mildura melds its historic past with a vibrant present. The region is known for its orchards and vineyards, which supply its many restaurants with fresh food and amazing wine. You can also find plenty of welcoming pubs, and even hidden culinary gems operating out of paddleboats. The year-round gorgeous climate allows visitors to enjoy boating, canoeing, fishing, and kayaking on the Murray River no matter when they stay. 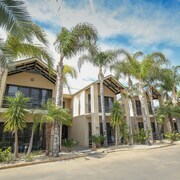 The town also offers relaxing spas, multiple golf courses, and plenty of hiking options in the nearby Mungo National and Murray Sunset National Parks. 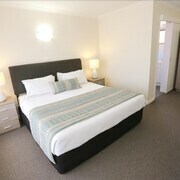 Reserve Mildura accommodation in advance to ensure your holiday gets off to a good start. 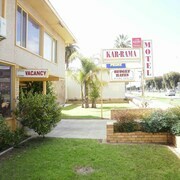 Keep your costs low by booking a holiday park or motel. Those who want to soak in the town’s history can stay at one of several classic hotels. Another unique option is to rent a houseboat and float the days away down the peaceful river. 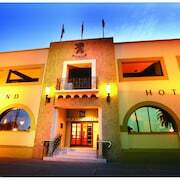 Whether you want a luxury hotel or the perfect place to take your family, Mildura has something for you. A 540 km drive by car from Melbourne will bring you to Mildura. You also have train and bus options from Melbourne. For those travelling a greater distance, Mildura Airport is just 11 km from the city and receives regular flights from Melbourne. Planning a trip can take so much time. Don’t spend hours clicking through websites trying to find the best deal. Expedia.com.au can do all of the comparisons for you. 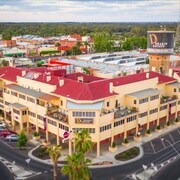 Put in the dates of your trip, and we will show you the best deals on accommodation in Mildura, as well as flights and car hire information. With all the time you save, you can finally start packing! 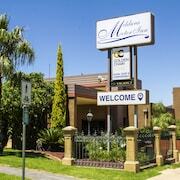 What are the most popular hotels in Mildura? 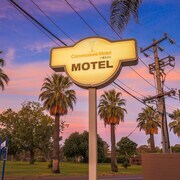 Are there hotels in cities near Mildura? 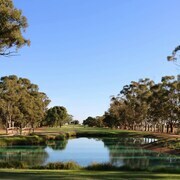 Explore Mildura with Expedia.com.au’s Travel Guides to find the best flights, cars, holiday packages and more!